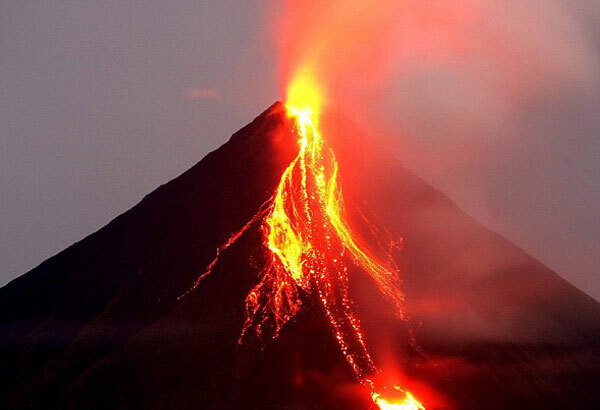 Philippine officials have warned the country’s trembling Mayon volcano could erupt at any time. On Monday the Philippine Institute of Volcanology and Seismology raised the alert level to four, signifying “intense unrest.” The alert system runs one to five. On Monday the volcano ejected a tower of ash 1,200 metres into the air from its summit, while rivets of molten lava flowed down its slopes. According to local news site Inquirer, all neighbouring villages experienced ash fall, while all flights were canceled in and out of nearby Naga City. Mayon sits about 500 kilometres southwest from the capital of Manila. It’s the most active volcano in the Philippines, although it’s been relatively calm since its last major eruption in 2009. In 2013, a freak explosion at the summit killed five climbers, including three Germans, one Spaniard and a Filipino tour guide. Despite the tragedy, the alert level remained at 0.